Cardinal Blase Cupich, Chicago, U.S.A. The ongoing worldwide scandal of clergy sexual abuse and cover-up dramatically affects all of God's people. Sexual abuse of any kind is a crime which must be reported and dealt with by civil authorities so that justice can truly be served. Healing the spiritual wounds suffered by victims of abuse requires that Church authorities listen with the heart of Christ if the Church is to heal this wound to the Body of Christ. Pope Francis has responded by convening a meeting of the heads of bishops' national conferences in February. You are tasked with preparing for this meeting. We hope you will consider the following observations and recommendations. Pope Francis has stated, “To say 'no' to abuse is to say an emphatic 'no' to all forms of clericalism.” (Letter to the People of God, par. 2.4) We agree that clericalism is a key issue because it maintains the Church's clergy/lay structure, which is seriously flawed since it reserves decision-making to a small minority of unmarried men. Unfortunately, they are more akin to a secular pyramidal corporation rather than a college of Apostles whose mission is to teach, govern and sanctify through sacrament and example, the whole People of God. Real change against abuse must start with essential change to the Church's clergy/lay structure. Two changes we consider essential to restore the credibility of the teaching authority of the Church are the inclusion of women in all ministries of the Church and the end to mandatory celibacy. We speak as women who love the Church and have accepted, in prophetic obedience to the Holy Spirit, to exercise a leadership of service within Catholic faith communities, tending the broken souls of those wounded by the Church. We minister to victims of clergy sexual harassment, exploitation and assault, and to their families. We also journey with offending priests to help them find forgiveness and healing. The absence of women in positions of ecclesial authority denies the Church the wisdom and insight women bring to the processes of discernment and decision making. Patriarchal gender stereotyping silences the voice of half of humanity. Women know from experience that the hierarchy of the Catholic Church is a primary carrier of the global toxic virus of misogyny and the violence it engenders. 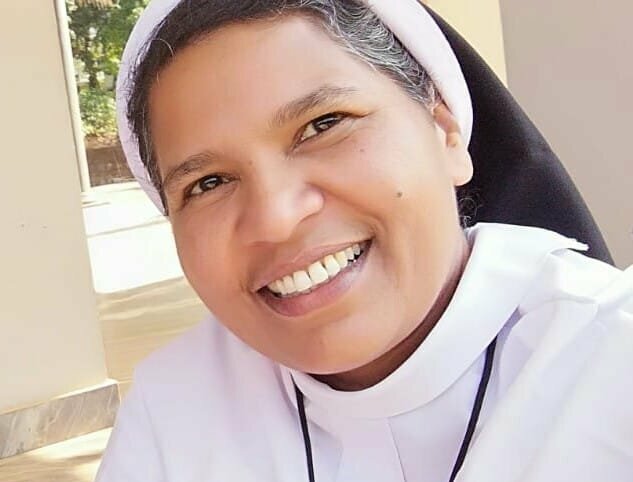 The cure for that virus is equality: the inclusion of women in all ministries of the Church so that men and women are equal partners in gathering and shepherding God's people. Further, if the Church would recognize the dual call to priesthood as well as marriage, the insights of family life would enrich the ministry of its priests as it does with its deacons. An end to mandatory celibacy would afford priests and bishops the emotional support and stability of family life (see Gen 2:18; I Tim 3:2-5) and would provide a role model for parishioners. This is not to say that we do not honour the charism of celibacy in those who receive it. The members (women and men) of the international Roman Catholic Women Priests movement join their voices with all who hope that your meeting in Rome will produce the real changes necessary to restructure Church governance. A conversion from clericalism and entitlement to service is imperative in order to heal the grave wounds to the Body of Christ and move the Church into the 21st century. We earnestly pray that the Spirit will guide your deliberations and your decision making, to bring the Church out of the darkness into Christ's light, "for the Holy Spirit Itself is a burning and shining serenity, which cannot be nullified, and which enkindles ardent virtue so as to put all darkness to light" (St. Hildegard of Bingen). --As we follow the Way of Jesus, guide us as a community of equals, to build a reconciled and renewed Church for today’s world. --As we follow the Way of Jesus, may we embody his teachings of merciful and unconditional love, forgiveness, and inclusivity. --As we follow the Way of Jesus, open our hearts and eyes to fully witness the depths of human suffering. Inspire our courage and fuel our spirits with the grace of acceptance to embrace diversity, use our voices for the voiceless, and speak truth to power. --As we follow the Way of Jesus, we pray for your people, especially those in power, to cherish our natural resources and watch over your creatures. Help us to value and care for the vast interconnectedness and myriad threads within the fabric of your Creation. As we follow the Way of Jesus, make us hope-bringers, truth-tellers, and messengers of Peace. Unite our hearts through our prayers, heal our brokenness, and inspire the co-creation of a vibrantly re-imagined and welcoming Church. Together, let us envision a blessed season of radiant wholeness...ablaze with Christ’s Love. Saturdays, February 2 and 16 at 4:00 PM at the Church located at the Great Outdoors RV and Golf Resort. 125 Plantation Dr., Titusville, FL 32780. All are welcome to the Table! for Mass any Saturday. Just tell the person at the gate that you are going to the church. February 6, Wednesday evening, 7:15 PM at 2 Westmill Ln., Palm Coast, FL 32164. Hospitality follows. Bring your favorite appetizer or dessert if you like. February 20, Wednesday evening at 7:00 PM at 2 Westmill Ln., Palm Coast, 32164. Hospitality follows. Bring your favorite appetizer or dessert. Special guests! at Castle Otttis located at 103 3rd Street, St. Augustine, 32084. Due to limited parking area, please carpool. For additional information call Miriam Picconi, 386-569-7311 or e-mail at miriampicconi@gmail.com. For information about the castle and directions, go to www.castleotttis.com. March 2 and 16. See details above. March 6 - ASH WEDNESDAY AT 7:15 AT 2 Westmill Ln, Palm Coast. and March 20. See details above. Sunday, March 31 at 10:00 AM. Please see details above. So sorry for having to cancel the castle service last Sunday. Because of the cold rainy weather it seems we made a wise decision. We look forward to worshiping with you in February. I want to thank you for your healing prayers for my shoulder replacement and ask that you continue the prayers. The surgery was postponed until April 18 which also happens to be Holy Thursday. The postponement was due to two medical issues. One is resolved. The second is being worked on. I am eager to get this done; however, I want good odds for a positive outcome when the surgery is completed. I was able to get a pain injection which is helping reduce the intensity of pain. YEA!! February 20 we will receive our friend, Shelley Gilchrist, into the Catholic Church as she discerns becoming a priest with us. We are excited to be on the journey with Shelley. The service will have our bishop, Bridget Mary Meehan, and several priests in ARCWP join us for this first time the Rite of Acceptance will be experienced in ARCWP. Shelley is an Episcopal who was ready to be ordained a deacon; however, her sense of justice would not let her take that step in her Episcopal Diocese. Her justice beliefs are more in keeping with what we in ARCWP believe and after some serious prayer and discussion, Shelley is seeking to join us. To be a Roman Catholic Woman Priest requires we be Catholic in all the best definitions of being Catholic. If you would like to join us that night, please call Miriam at 386-569-7311 so we will know how many people to plan for. As I write this, the government shutdown is over for a few weeks. Let us all pray it is not resumed. I personally know too many people directly effected by the delay and lack of pay checks. Did you know that contracted government workers will NOT get back pay? What an unnecessary loss caused by politics instead of genuine christian love and caring for others. I don't want to get into politics, but we christians need to be involved and truly love our neighbors as ourselves. I hope you will find a way to take action as the Spirit leads you. Too many people are going without basic necessities right here in America. We have to get off the sidelines and stop being afraid to speak truth to power - at whatever level that power is in your life. Other issues right now are the terrible weather reports all over. Pray that people will drive safely so that there will be no needless deaths on the roads. Dear God, help us all be more thoughtful and kind to one another. Help us to slow down and be patient in the midst of the chaos all around us. Help us to realize that you made the people around us who seem to be irritating us. You love THEM as well as US. Dear God, help us stop the hate. Help us have the courage to love. Know we continue to pray for you and your families and the desires of your hearts. Please pray for us if you cannot join us in one of our ministries. We seek and need the Spirit's wisdom and guidance. Lynn Kinlan, ARCWP, and Judy Stamp led the Upper Room Liturgy with the theme: “The Wholeness of the Spirit is Upon Us.” Lynn’s homily reflection follows the readings. As we settle into the sanctuary of our community, we acknowledge how we may at times, live our daily lives on the surface, buoyed and tossed about by waves and currents, always paddling. We gaze at objects on the passing shore until the next new concern comes into view. But when a good deep breath is taken and we slow down, we raise up to see beyond the shoreline. We see a distant and eternal horizon where all is One. We know peace and we touch wholeness. Rather than cling to the surface, we resolve to seek out peace and wholeness through the Good News of Christ, the anointed One who knows that each of us is a traveler and that we travel together, both nobly and boldly. Amen. The body is one, even though it has many parts; all the parts - many though they are - comprise a single body. And so it is with Christ. It was by one Spirit that all of us, whether we are Jews or Greeks, slaves or citizens, were baptized into one body. All of us have been given to drink of the one Spirit. God has so constructed the body so that there may be no division but that all the parts may have the same concern for one another. If one part suffers, all the parts suffer with it. If one part is honored, all the parts share its joy. You then, are the body of Christ. Each of us is a member of that body. There is a variety of gifts, but always the same Spirit who distributes them as she wills. This is a letter from Paul, disciple of Jesus and the community affirms it by saying, Amen. Jesus returned in the power of the Spirit to Galilee, and his reputation had spread throughout the region. He was teaching in the Galilee synagogues and all were loud in their praise. This is from the Gospel of Luke and the community affirms it by saying, Amen. Out theme is echoed in scripture across the ages beginning with a selection from Isaiah written after the Babylonian captivity around 550 BC to a letter from Paul that probably dates to 55 AD and then the Luke gospel from around 70 AD. In each, we hear about the power of the Spirit to make us unified and whole, to enable us to live out the Good News even in trying circumstances. Paul wrote to the Church in Corinth was struggling, its people quarreling among themselves and some even leaving the church. The letter stands as a reminder that disagreements or judgments must give way to our concern for one another, recognition of our need for a wide diversity of gifts and most of all, trust in the One Spirit that brings us together in new and unexpected ways - both inside a worship community and with everyone in our lives. This is why we stay hopeful and joyous despite divisions within our own families, our church and our nation–because we are graced within ourselves by a faith and a power of Spirit. We are a prayerful people of Word and Eucharist, fueled to be fully inclusive and hope filled. We are companions on a journey and if that journey has a few speed bumps like it did for the people of Corinth, and some shocks like the Jews hearing Jesus, then we ought to be able to manage with hope and love and our wave pool of many gifts. It is interesting that Paul’s reminder about wholeness in the Spirit is paired today with Jesus reading from Isaiah about how “The Spirit of our God is upon me“. Written 500 years before Jesus read it, these words were familiar to every Jew in synagogue; they’d heard it many times. They probably knew that a few lines later Isaiah moves on to refer to all the Jews returning from Babylonian captivity as “trees of integrity” who will rebuild the temple and who will be called “Priests of Yahweh and ministers of our God”. So the words Jesus reads apply to the Jews and to us as well as to Jesus – for we are all anointed, members of the same body on whom the Spirit of God rests, all of us called in covenant to bring Good News to a wounded world. If there were pins at the time, everyone in synagogue might have been able to hear one drop as Jesus sat down and added that Isaiah “is fulfilled today in your hearing”. This was shocking. Maybe that was a reference to himself as Messiah. It’s likely that Jesus was also referring to Good News beyond himself – something head spinning– that the kindom of God is fulfilled right here and right now, that we need not wait for the best time or the end times to live out the promise of the covenant with the help of the One Spirit. If Paul’s letter and the longer Isaiah verses refer to us all, then let us have confidence and know that the Spirit of God is with us and ours is always a year of favor and grace. Focusing on these two readings, in a spiritual way above and beyond politics, we welcome you to share briefly about what you have heard. What do these two readings mean to you? And what will it cost you?